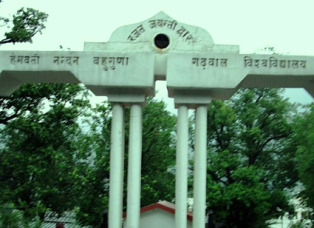 Hemwanti Nandan Bahuguna Garhwal University is a central university of Garhwal Region in Uttarakhand State. There are many of the graduations and post- graduation courses are offered by the University. And every year so many of the students are appeared in those courses. The university is situated in Srinagar city of Pauri Garhwal district of the Uttarakhand state, and the various collages in Uttarakhand affiliated by the University. There are so many of the students are waiting for their result for session 2012-13. The Examinations of BA, B.Com, B.Sc, MA, M.Com and M.Sc were held on April month to June months 2013. And after that students are still waiting for their results, so the results of these courses will be declared soon. And below I am giving the link to get your results online. So when the result will declare then the given link will update automatically. So wish you all the best for your results. Click here to get your result. For more updates about exams and result you can follow us by email.